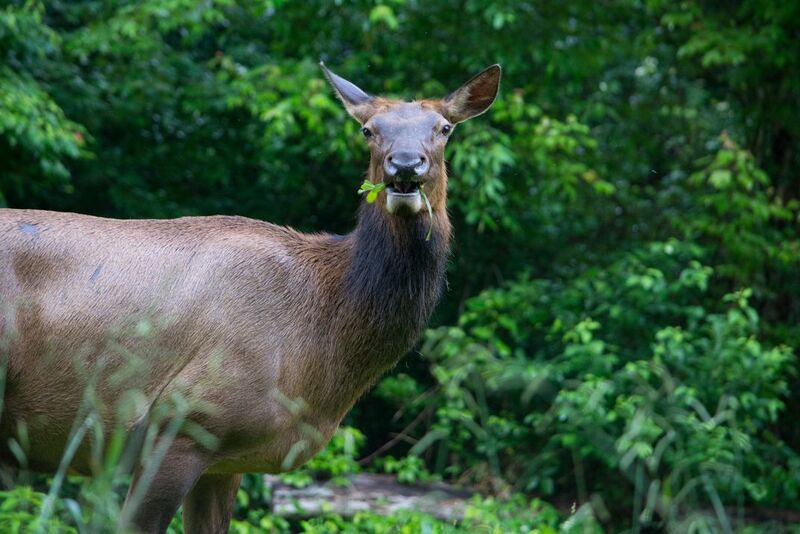 A photo capturing a female elk eating in the early morning. This was taken in Great Smoky Mountains National Park. I jumped out of the car to snap this photo right after it rained.